The workforce is everything in aging services – every country, every community, and every provider. Our workforce is the backbone of the services we provide, the quality we deliver and the satisfaction of our clients and residents. This has been true for decades and will remain true for decades to come. And yet now, we are facing a crisis of global proportion – particularly in Europe and Asia. It is increasingly difficult to recruit and retain qualified workers in our field. Increased life expectancies and the projected growth of the older population, including a population that is increasingly frailer, has created a significant demand for long-term services and supports (LTSS) around the globe. Yet, the supply of paid LTSS workers and informal caregivers who can help meet this demand is shrinking dramatically. In a nutshell, the current demand for LTSS are growing faster than the pool of workers available to provide those services and supports. Therefore, it is imperative that new sources of workers are identified. We need to reach out to students and introduce them to our field. We need to reconfigure jobs for older workers and we need to look beyond our borders. In a number of developed countries – notably the UK, US, Canada, and Ireland – there is a general shortage of native-born workers who are qualified for or interested in working in LTSS or with older adults. This is true elsewhere as well. And looking across the globe, this is much more pronounced in the developed world than the less developed world. The reasons are both simple and complex. The size of the global working-age population is shrinking dramatically, not just in our field but across occupations. That population is expected to decrease from 76% to 58% of the total global population from 2010 to 2050. A significant drop and a global challenge. Second and specific to our field, traditional gender roles have changed. Women of working age – who do the lion’s share of this work – are more educated and have expanded employment opportunities. They are less likely to be attracted to jobs in aging services because, in many cases, they feature lower wages, poor working conditions, physically demanding work, and lack of recognition for the value of the work. A third issue, harder to quantify but nonetheless real, is ageism. A bias against working with older adults. Why that exists could be a topic for another seminar. The primary providers of LTSS are family members, neighbors, and friends. We are facing a likely decrease in the availability of family caregivers in Europe, Asia, the U.S., and Canada. The ratio of adults who are over 65 to adults under 65 – the support ratio – has fallen in recent years around the globe as a result of plummeting fertility rates, increased divorce rates, and greater workforce participation among older women who were the traditional caregivers. Just to maintain the current rate of family caregivers to individuals with LTSS needs, the number of family caregivers would need to increase by about 20-30% in some countries. A huge number and highly unlikely to happen. A study conducted by the Global Aging Network aimed to better understand the realities and nuances of the foreign-born workforce in long-term services and supports, including the issues associated with hiring and retaining foreign-born workers, the benefits and challenges, relationships between foreign-born workers and their co-workers, care recipients and employers and, of course, quality of care. We did this study, not to make a political statement, but because it is a reality in our field and we need to understand it better. Increasingly, we have come to rely on both formal and informal foreign-born workers. Informal care – provided by compassionate individuals with big hearts and little training – is becoming increasingly the norm in Southern Europe, much of Asia, and throughout the developing world. 11 OECD countries reported that the share of foreign-born workers in 2008 was larger than the share of native-born workers for organizations offering services to children, older adults and people with disabilities. That was in 2008 and is likely to be more prevalent today. Some countries – U.S., Canada, and Australia among them – report that more than 20% of their formal LTSS workers are migrants and those numbers are increasing. As an example, the Netherlands and Canada saw a 6% increase between 2002 and 2006. Our workforces are increasingly culturally diverse and the data affirms it. What foreign-born workers do in LTSS – what jobs they perform – varies a bit by country. In the UK and Ireland, they concentrate in the more skilled jobs, like nursing. In the U.S. and Canada, they tend to concentrate in personal care assistant jobs – jobs that require fewer skills, but are equally critical and in high demand. Some of this is by design. Because of the lack of native-born nurses willing to work in LTSS in the UK and Ireland, government agencies have established bilateral agreements with India and the Philippines to actively recruit nurses. They have looked outside their own borders to fill gaps. Foreign-born personal care assistants make up 19%-25% of the LTC workforce in Canada, Ireland, the UK, and the U.S. One in 4 personal care assistants in Australia is foreign-born. And Israel is a bit of an outlier. Of all the regular foreign-born workers in Israel’s workforce writ large, 59% worked as caregivers. They are actively recruited and supported to come to Israel to serve in these roles. Looking at settings, across countries, migrant workers are far most prevalent in-home care than in nursing homes. The highest share is reported in Southern Europe and Australia where they gradually substitute for family members as the informal caregiver. It is clear that foreign-born workers are significant contributors to the delivery of LTSS around the world: formal and informal, nursing homes and home care, personal care and nursing. What about the work itself? Foreign-born caregivers are more likely than native-born workers to work full time, earn lower wages, experience less favorable working conditions (longer hours or the night shift) and be employed in the private sector. On the positive side, these workers were more likely to hold positive attitudes about their supervisors, demonstrate a willingness to learn new skills and be satisfied with the workplace morale. They also tend to have a higher education and more advanced qualifications than is normally required for the work they perform. This is simply due to the fact that credentials and qualifications earned in workers’ countries of origin are not always recognized in host countries. Credentialing is a double-edged sword. Clearly, its intent is to ensure quality of care. But it can also serve as a barrier to otherwise valuable workers. Some countries require a national qualification exam and demonstrated language proficiency. Some, such as the UK, require a period of supervised practice. To minimize the barriers to entry, some regions of Italy provide professional training to potential LTSS workers in their home countries. They are trained and prepared before they come to Italy to assume these jobs. In response to increasing demand for LTSS workers, several countries have simplified their recruitment and migration procedures to allow the hiring of migrant LTSS workers. For example, Spain, Canada, and Finland have simplified their labor market tests for LTSS workers. Austria has lifted its federal quota on the maximum share of people from non-EU countries allowed to work in the LTSS sector. Italy exempts nurses from its migrant quota. And the UK views LTSS as an occupation with recognized shortages. Canada has a Live-In Caregiver program, admitting migrant workers if they fulfill certain criteria. The majority come from the Philippines, Britain, Slovakia, and Jamaica. 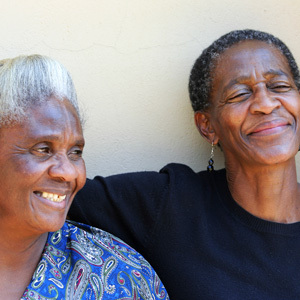 They can apply to be permanent residents after completing 2 years of caregiving work. Japan has a bilateral agreement with the Philippines, Indonesia, and Vietnam to allow a limited number of nurses and personal care assistants to work indefinitely as long as they acquire language proficiency and pass national exams. This is the highest bar we came across. Israel actively recruits foreign-born workers through private recruitment agencies and provides training in the country of origin. These workers are permitted to work in Israel for up to 5 years, after which they must leave. This practice is a result of Israel’s bilateral agreements with Sri Lanka and Nepal. Some countries are proactively working to address the growing gap in supply and demand for aged care workers. But even these policies and bilateral agreements have not been sufficient to meet the demand. We were also interested in issues around countries of origin. Where are these workers that are so critical to the delivery of quality care coming from? Not surprisingly, geographical proximity, bonds to the destination country, similar language as well as humanitarian migration flows play a major role in establishing patterns of migration around the world. Foreign-born nurses and personal care assistants originate primarily from the Philippines, India, Sub-Saharan Africa, Mexico, the Caribbean, and Eastern Europe. In the European Union, many foreign-born workers also originate from within the EU. In addition to relying on legal immigration, providers in a number of countries turn to undocumented LTSS workers who have overstayed their visas or entered illegally. Families do as well. To find these workers, they rely heavily on local recruitment through informal networks and local or regional advertising. Often they end up employing extended family networks. …which turn out to be an often successful and inexpensive path. Most often these individuals work as personal care assistants. Nurses, on the other hand, tend to come from other countries through more formal channels – recruiters or employment agents. While this eases the administrative burden for the receiving providers, it comes with high costs and often a step or two removed from the selection process. In response to ethical concerns about the practices of some of these agencies, voluntary principles and practices were developed in 2010 by the WHO for the ethical international recruitment of health personnel. However, few of these principles are specific to the long-term services and supports workforce. To put a human face on this data, we conducted telephone interviews with human resource directors and operational managers in aging services organizations in Australia, Canada, the UK and the U.S. (Notably, this was a convenience sample based on our knowledge of employment of migrant and immigrant workers and staff who spoke English.) To a person, the providers confirmed the findings of the literature. What we learned, most notably, is that providers believe foreign-born workers have a strong work ethic, have job-related experience and generally have qualifications that are similar to native-born workers, even if not recognized as such by credentialing agencies or governments. Some personal care assistants have extensive experience – often as an informal caregiver in their own family. Providers also confirmed the credentialing disconnects. Several described situations in which physicians work as nurses and nurses work as personal care assistants. The provider perspective is instructive – they hire foreign-born workers because these are the individuals who apply for open positions. They – to a person – indicate that they could not provide services without the foreign-born workforce. They are essential.